The modern-day online user has a short attention span and prefers precise, conversational and scannable writing. To make things even more challenging for marketers, Sumo analyzed 650,000 pageviews and discovered that only 20 percent of visitors finished an article. Another study revealed that users spend an average of 5.6 seconds when scanning written content. That’s little-to-no time to make an impression. In such a testing environment, a lot of your engagement success depends on web copy. It has to be optimized for scannability and conform to an online reader’s behavior to make an impact. It’s not all bad news though, there’s great copywriting work being done all over the web and there are tons of resources to learn the skills to serve the modern reader. In this post, we want to bring you the 5 best web copy examples to inspire you for your future writing endeavors. Happy scanning! What? A brand’s using 1-star reviews to promote themselves? That’s crazy…or is it? Not when you’ve created a clever campaign using excellent copy. 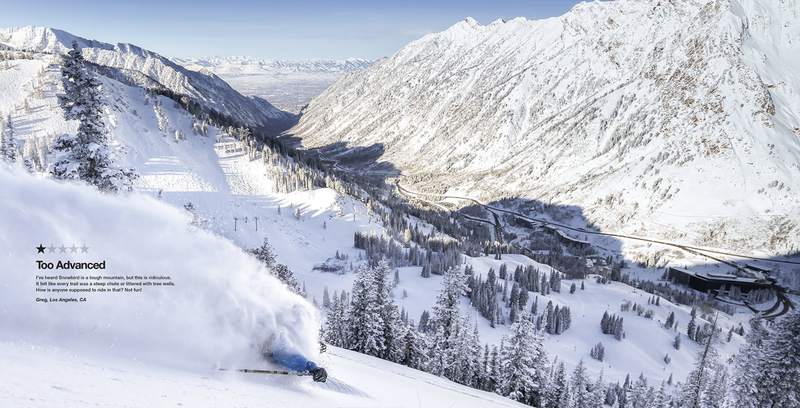 Snowbird is a sky-resort that positions themselves as a challenging experience. Their target market is thrill-seeking, adventurous skiers who don’t care for comfort. 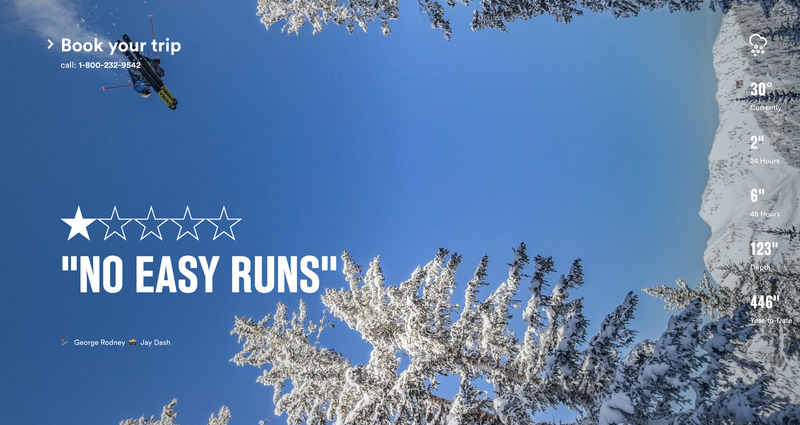 To connect with this core audience, they ran a campaign where they displayed one-star reviews against grand backdrops of mountains and valleys. What really drove the campaign home, and made it super effective was the brilliant copy supporting the images. Right off the bat, you can see they make it a point to mention themselves as ‘The most misunderstood ski resort in the world’. The heading sets the tone for the message that follows. Snowbird uses the ‘what’s in it for me’ approach to build anticipation and curiosity in the mind of the reader. The ‘what’s in it for me’ approach basically puts you in the shoes of the reader and encourages you to think about how a reader can benefit from your copy. Snowbird knows people won’t care if the track is too steep or too hard. How is that a benefit for them, what’s in it for them? Therefore they make sure that the reader knows not to get discouraged by these factors because the resort can exceed their ‘wildest expectations’. The combination of honesty, bluntness, and curiosity makes this a wonderful piece of copy and a very well executed campaign. Takeaway: Your copywriting should reflect your own unique style, in a manner that it attracts just the right people. 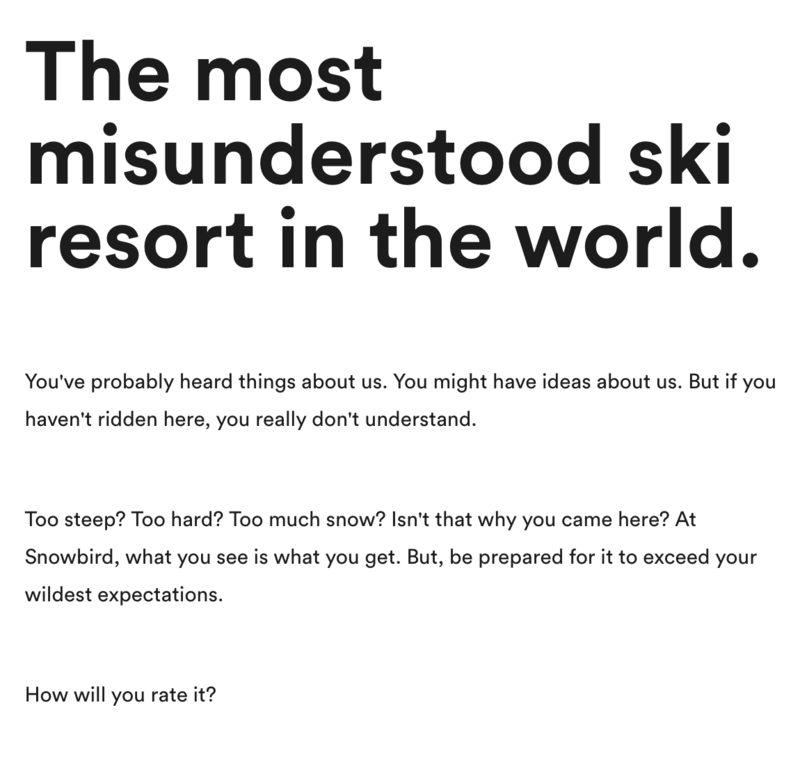 Snowbird’s bold approach not only justified its bad reviews but it also sent a clear message of what they’re all about: An authentic and wild experience. Similarly, your brand’s personality should reflect in your content too. 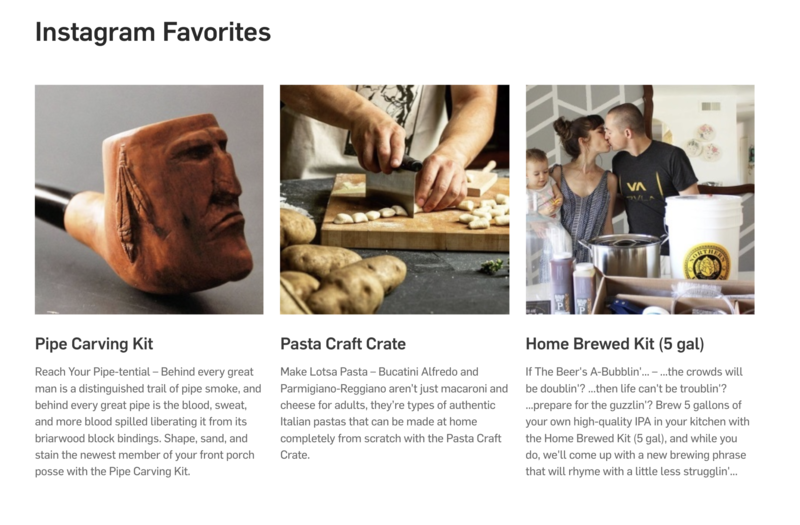 Mancrates was set-up to solve a simple, singular problem…finding the right gifts for men. They understand guys and they understand the difficulty in finding gifts that they actually like. 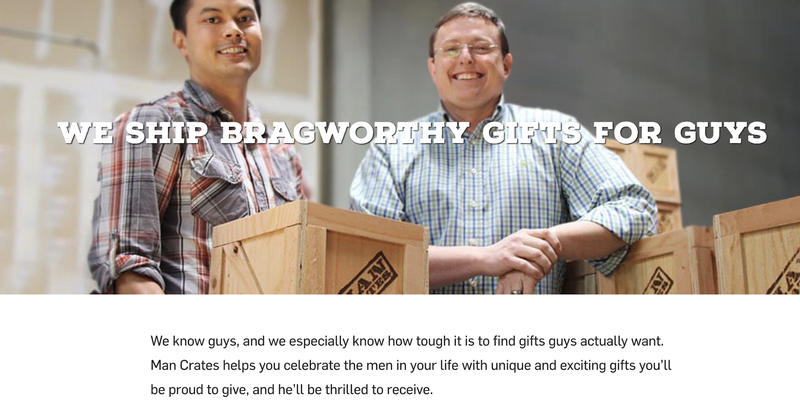 Their expertise in all-gifts-men reflects throughout their website in their design and copy. When you open their website, the home page greets you with a hard, army style font, complemented by witty product names like ‘The Great Indoors Kit’ or the ‘Servin’ Bourbon Pack’ that promises to help you explore the universe. It speaks to friends and partners of all ‘manly-men’, who are notoriously difficult to please with gifts. The section that really caught my eye though, and one I thoroughly enjoyed reading every word of, is their Instagram Favorites section. Puns, wit, rhymes and stellar descriptions. Product descriptions don’t get better than this. Mancrates has masterfully weaved words to appeal to the manly man in everyone. The writing style lets you live the life of their target audience for a brief moment. My favorite is the description for Home Brewed Kit. It’s self-aware, catches and holds attention through its rhythm, and most importantly manages to paint a spectacular picture of product use. Takeaway: When addressing your audience speak in the language that appeals to them most. Instead of focusing on yourself and how brilliant your products are, paint a picture that lets your audience see how their life will improve with your products. LiveChat’s core audience consists of SaaS companies, usually methodical buyers who make buying decisions based on logic and fit of product/service. Writing copy for such users require an on-point, almost surgical approach. No gimmicks, no bells and whistles, you have to cut straight to your core benefit to catch attention, before you can delve into features and product explanations. The heading immediately delivers the core benefit LiveChat promises, a fast way to keep customers satisfied. To understand the effectiveness of this message, put yourself in the shoes of a potential business looking to add live-chat capabilities. You’re probably browsing the web looking for a good solution, you come across a listicle, something like Best Live Chat Solutions. You click on it, find LiveChat under heading 3, and are curious enough to visit their website. You open the website and you’re greeted by the main banner that reads ‘The fastest way to help your customers’. This arouses your curiosity, you wonder, and you want to find out more. The banner has done its job. By saying there are customers waiting, the copy paints a picture of urgency (that people are not being served) and also presents an opportunity (if those people are served, the promise of higher satisfaction and potential revenue). It’s a carrot and stick approach that’s very effective in grabbing and holding the attention of the reader. Takeaway: No frills, to-the-point copy can be just as effective, or more than a witty over the top statement. The point is to deliver your core message in a language most suitable for your audience. Velocity is an agency that specializes in delivering B2B services like content strategy, marketing and design. They are an odd bunch, who have a real passion for content marketing and are redefining what it means to produce and market content. The copy exudes honestly and a level of self-awareness that’s refreshing to find in the b2b domain, where a lot of companies sound uptight and unoriginal. The copy uses a two-pronged approach to attract the right sort of customers Velocity is seeking. First, by mentioning their weirdness when it comes to content marketing in the b2b, they’re sending a message to potential clients who hold the same attitudes. They’re basically saying that if you’re weird and passionate like us, we’ll do great work together. Second, they’re fending off people they don’t want to work with by letting them know that if Velocity’s approach sounds offbeat, you’re not going to enjoy their company at a dinner party. In other words, they’re saying its best if we don’t work together. And they do all of this in the most casual and inoffensive tone… a real feat in this day and age. By this point, if you’re a client looking for a potential b2b content agency, you have a basic idea of Velocity, and you can decide if you want to explore them further. They don’t mince their words, do they? In fact, they’ve drawn a clear image of the sort of people they don’t work with. After stating the fact, they mention all the high profile clients they have worked with, further cementing their credibility. This style of copywriting allows Velocity to position themselves as a selective agency that’s not going to bend their values for anyone. It establishes them as an honest, relationship focused brand. Takeaway: Don’t be shy when it comes to blunt and honest copywriting. You might not attract the largest number of prospects but you will definitely attract the highest quality prospects. And such people mean more to your business than unqualified leads. LandingFolio curates landing pages from all over the web to inspire visitors and their revenue comes from selling lead magnets like books, conversion tips, UI kits, and mockup designs. After attracting attention, it is just as important to be able to hold it, you need a reader’s interest. To stir interest, you have to show the readers what’s in it for them. This landing page does that by offering 200 ‘high converting formulas’, an irresistible offer for most email and content writers. To establish credibility, there’s also a small ‘Authors featured on:’ section just below the call-to-action button. Now to get people to desire your offer, you have to show them how your product addresses a need of theirs. 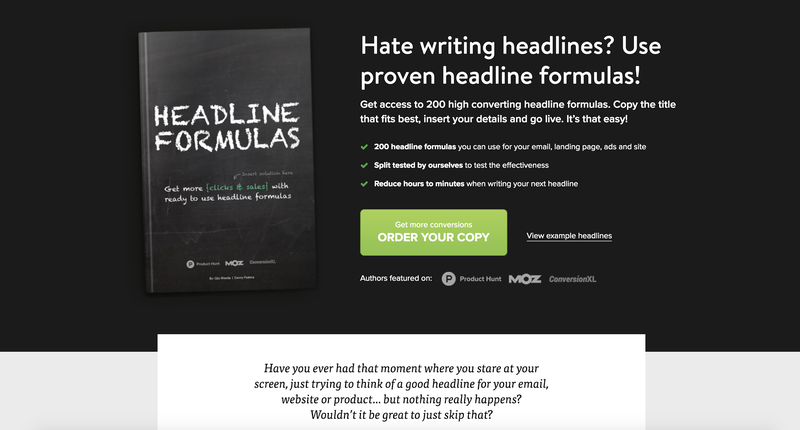 In the bullet section of this landing page, the author tells the reader how they can save time and effort in their copywriting efforts by buying these headline formulas. He helps the reader imagine the benefits of using the product. By this stage, the target reader is hooked and primed for action. It is your job as a copywriter to guide his next step, otherwise, you’ll have done all that attention-grabbing, desire-inducing writing for nothing. It’s time to close the deal. In this example, the call-to-action button, the little green box which asks you in a bold font to ‘ORDER YOUR COPY’ is the action driver. After having gone through the headlines, the features, and the benefits, the visitor needs to make a buy-decision, and you have to influence that decision to increase the chances of a sale by adding a call to action button. LandingFolio has done a brilliant job of it. 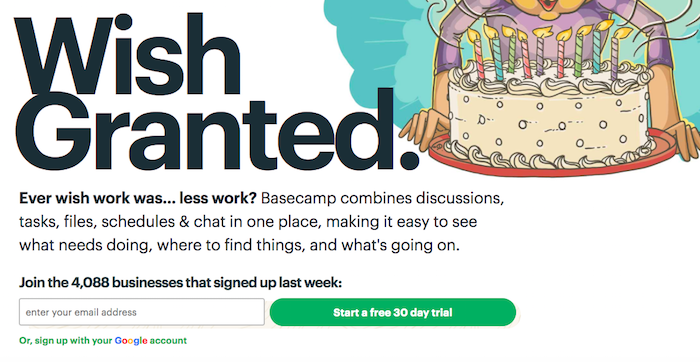 Takeaway: A huge part of landing page design is an effective copy. If you’re selling any sort of product, you can use AIDA formula to maximize your landing page conversions. Good luck with your web copywriting! Writing about copywriting is weird and exciting at the same time. It’s like a meta-project where you observe and study written words to write words about writing words. Confusing, I know. But it’s worth it at the end because I get to analyze and write about the best content on the web, and present it to you guys. Let me know how you felt about these examples, or if I missed anything important. 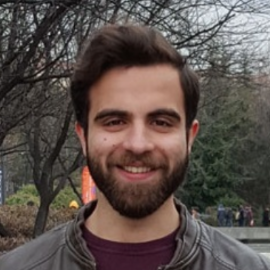 I’d love to hear from you guys! Rukham Khan, the resident writer and content specialist at MailMunch. He writes about email marketing, content and lead generation in an effort to help and inform entrepreneurs and small businesses. In his free time, you can find him playing Squash or managing his personal blog on Medium.